A recent Harris/HealthDay poll found that 30 percent of overweight people think they are normal size. Is this wishful thinking or are we just putting our heads in the sand? 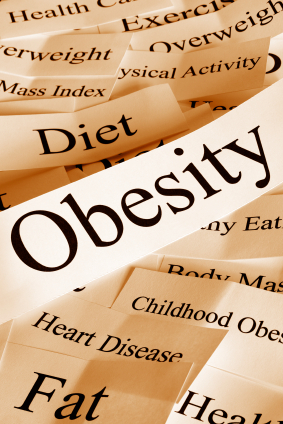 Obesity and a sedentary lifestyle are the biggest threat to the health of our population. I think the vast majority of people are aware of this, but they’re either not willing to do anything about it, or they’ve tried various solutions through the years with no lasting success. For me, depending on my frame of mind, I was either ignoring my obesity problem or optimistically trying another diet. I went on my first diet at age 10, the Air Force Diet, a popular low-carb diet in the seventies; I ate a lot of hotdogs. Then I fasted a few times until I almost passed out. In the early ’80s it was Judy Mazell’s Beverly Hills Diet; mangoes and papayas still remind me of that diet. Next was the Cambridge Liquid Diet in my late high school years. My friend’s Dad made her get on it to maintain her at 118 pounds; he actually made her weigh in front of him. Then there was Slim Fast. By then, I was in college and weighed 182 pounds; I had dieted off and on for half of my short life. After college in the early ’90s I got into the cycle of going to diet centers for help. I bought a lifetime membership to Jenny Craig and dutifully ate their food-like substances. I lost weight very quickly, eating only 1000 calories per day. I was “perfect,” and I basked in the glory when I was able to proclaim to the counselors that I was “good.” At 132 pounds, I was two pounds away from my goal weight. Week after week, I would go to the Center, buy more boxed food, and I just could not lose those last two pounds. I was frustrated and sad, and the counselors kept telling me to try harder. If only someone (me?) had told me that I should celebrate how far I’d come, and not worry about another couple of pounds. Instead, I quickly gained all the weight back and then some. For the next fifteen years, I would be in and out of Jenny Craig, on and off diets, until the past few years when I gave up on even trying to diet. My self-esteem was low, my energy was low, and the comfort of eating McDonald’s all by myself in my car was just too alluring. I was drawn to it, obsessed with it, soothed by it, addicted to it … and poisoned by it. It has been more than three months since my last visit to McDonald’s, and I have lost 26 pounds. I feel calm and strong and completely free of the pull of the Golden Arches. How did I do it? I did the AdvoCare 24-day challenge, with the support of Camp Gladiator, and then I began eating Real Food as described by Nina Planck. The challenge got me off sugar and fast food, and got me accustomed to eating lots of fruits and vegetables. Nina’s book is guiding me for how to eat for the rest of my life. I was afraid that eating well meant limiting your choices; on the contrary, a whole new world of great food has opened up to me. If you are obese or overweight, you can break free from that prison. Do you have to do a strict challenge before you start eating according to the Real Food principles? No; it just happened to be my journey. You must understand though how sugar, refined grains and chemical-laden industrial food-like substances are affecting your brain. They are keeping you imprisoned. Get Nina Planck’s book, and start eating real food. One good thing that I did learn from Jenny Craig (way back when) was to shop the walls of the grocery store; you’ll find all the food you need there. Along the walls, you’ll find the produce, fish, meat and dairy. Whether you’re gorging food with abandon or white-knuckling it to stay away from “bad” foods, you have a problem. Once you get the sugar and chemicals out of your system, and eat real food, you will realize the blessings of a clear mind and a healthy body. I feel better today than I’ve felt in more than 17 years; I wish the same for you. Obesity does not have to be the “new norm” for you. Eat well, move for fun and be well. Your story is uplifting and inspiring. We’ve all been down that road. You’ve shared some great info on taking a new turn that can make such a big difference. I’m making a point of buying Nina’s book this weekend and sharing your site w/my spouse. Thanks for sharing.